Hello everyone my name is Cheryl, I made this blog a few years ago for a place to put my book reviews. I wish I could add to it more often, but after starting college it has been tougher to keep up with. However I haven’t been slacking on my reading and was able to finish 2018 with 71 books read. I always try to read at least 4 books a month to keep up with my yearly goal of 50 to 70 books. My favorite genres to read have lately been transitioning from Young Adult fantasy and fiction to Literature and Adult fantasy and fiction. I will pretty much read any type of fiction you put in front of me including Sci-Fi, Romance, and Historical fiction. I have a slight obsession with Lewis Carrol’s Alice in Wonderland and Through the Looking Glass and have read the book many times. I am constantly on the lookout for different editions and versions of the book and own a good amount of them. Some of my other favorite authors include F. Scott Fitzgerald, Franz Kafka, Edgar Allen Poe, Jane Austen, Sarah J. Maas, and Jay Kristoff. I also have a huge interest in any books that take place on the sea; anything that includes pirates, mermaids/sirens, sailors, or mythological sea creatures are my weakness. Some other books I could talk about forever (that are not from any of the authors above) are: Ready Player One by Ernest Cline, Jurassic Park by Michael Crichton, The Da Vinci Code by Dan Brown, The Night Circus by Erin Morgenstern, Lord of the Flies by William Golding, The Secret Sharer by Joseph Conrad, and The Alchemist by Paulo Coelho. Those are just a few of my favorites and the list is continuously growing. I have been reading a lot of Sherlock Holmes by Arthur Conan Doyle lately and have easily fallen under the author’s spell. I used to have an instagram account ( Bibliophilecher ) where I would post pictures of the books I was reading and write little updates on how I was enjoying them. 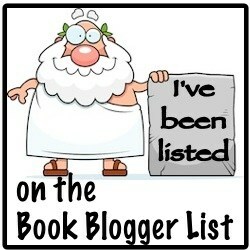 I would rep for a few bookish companies at a time to help promote their products to my followers. I started this account back in August 2016 and stopped around July 2018 because of needing to spend more time on getting ready for college and have not found time to start being active on it again. I am currently a first year in college studying Watershed Sciences at Colorado State University. I have made a good group of friends here and continue to get along with anyone who is willing to talk about books. I do, however, miss working at my Barnes & Noble back home. I miss being able to continuously recommend people books and talk with my amazing managers and employees. I also miss grabbing the free Advanced Readers Copies(ARCs) that our store would be sent. Those books have allowed me to have a constant pile to read and sometimes review if I get enough time to write one. I still recieve a few ARCs from publishers every now and then, but I am hoping to find more time to review books so I can open up my inbox for more request from authors. I am currently not taking any requests in my contact me page, unfortunately. Once I get in a better place in my studies I should be able to open it up again. I would very much appreciate it if you were to subscribe to my blog to get notifications whenever I do post something new to my blog. Feel free to contact me if anything is incorrect on my blog and needs to be changed, make sure you check out my Reviewer Disclaimer first. I am also always glad to chat about any books you enjoyed a lot or also have an opinion about any of the books I have reviewed. Thank you so much for checking out my blog today, I hope you were able to find something that interested you!